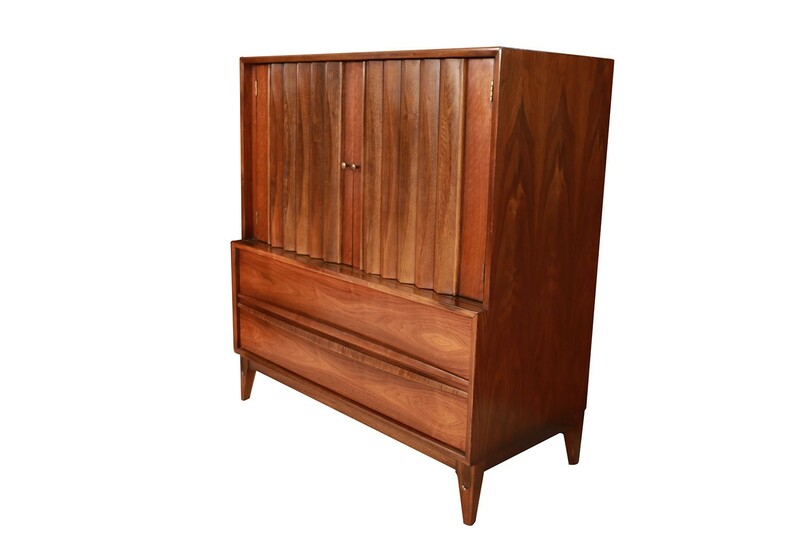 Beautiful, minimalist, Danish, modern, inspired profile. 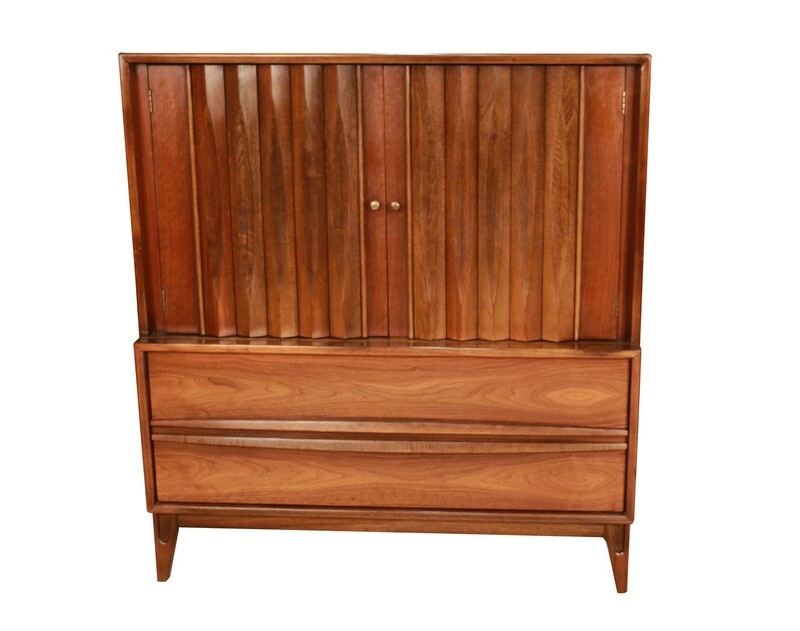 Mid century high boy Gentleman’s chest with Louvered Front by Thomasville. A handsome example of American craftsmanship. 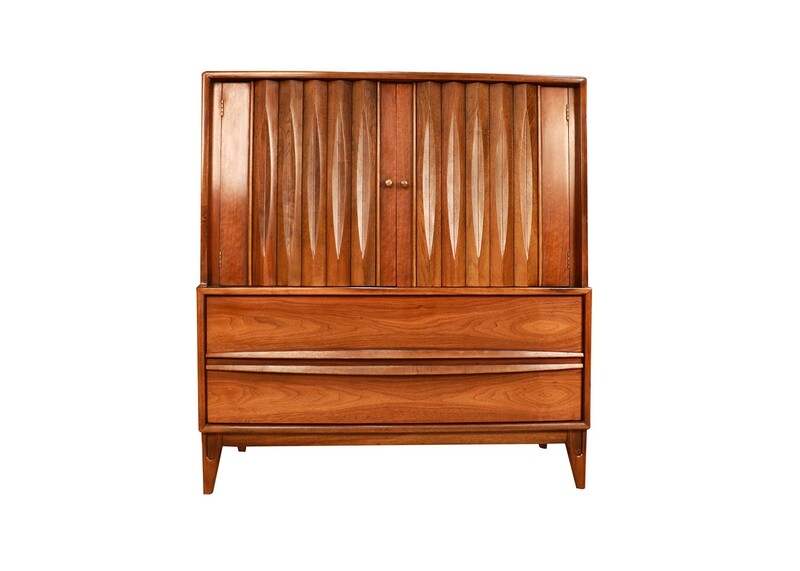 Stunning walnut high boy dresser. Exquisitely designed with incredible lines and detailing. 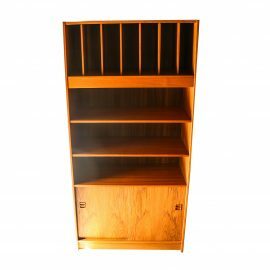 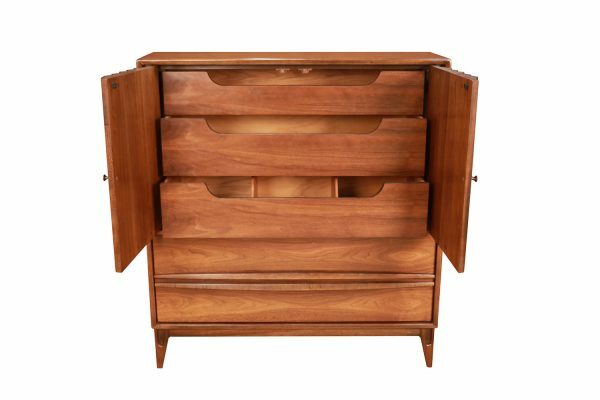 Features two spacious long dovetailed drawers on the bottom, with sculpted drawer pulls, on the upper, attractive, vertical, louvered double doors, which open to reveal three more drawers giving ample storage capability. 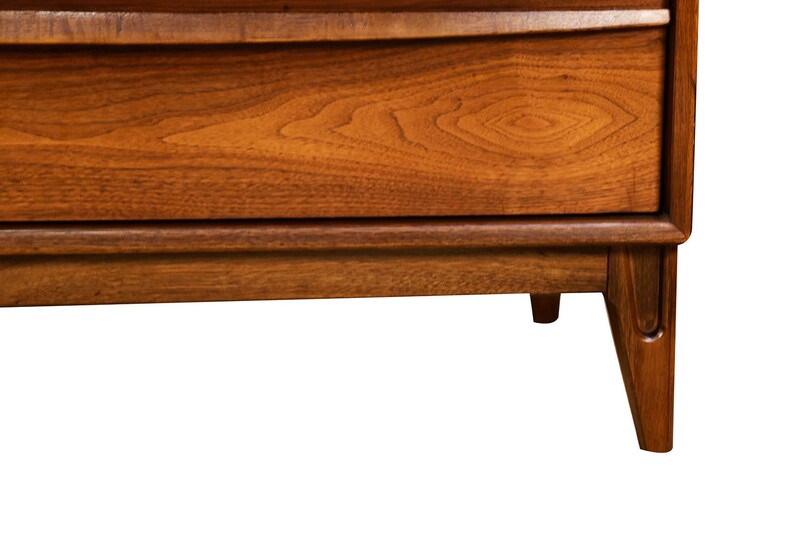 The unique tapered legs offer a modern flare. 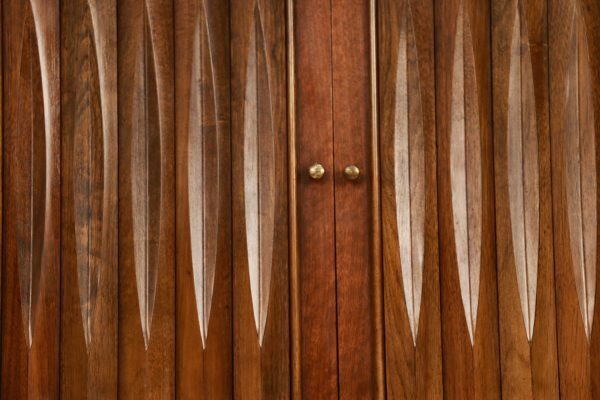 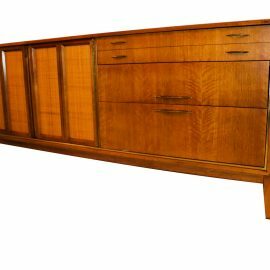 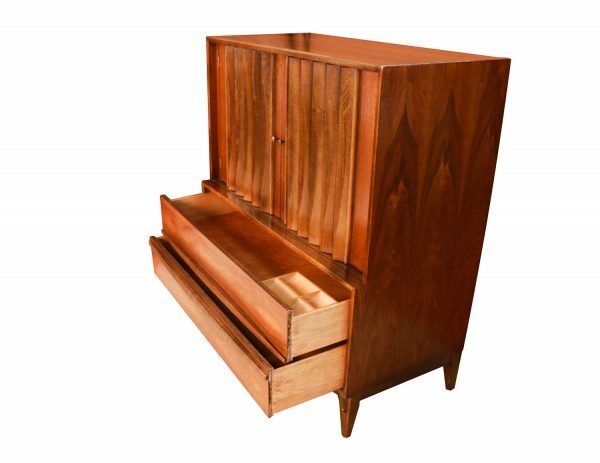 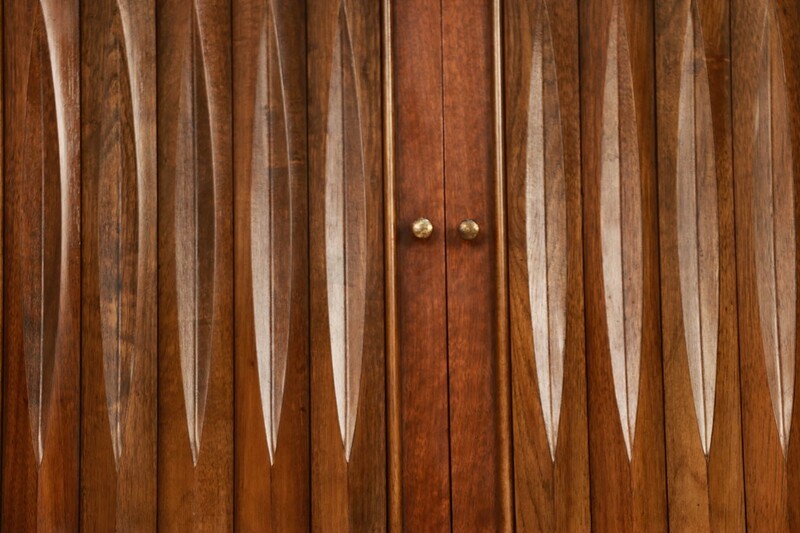 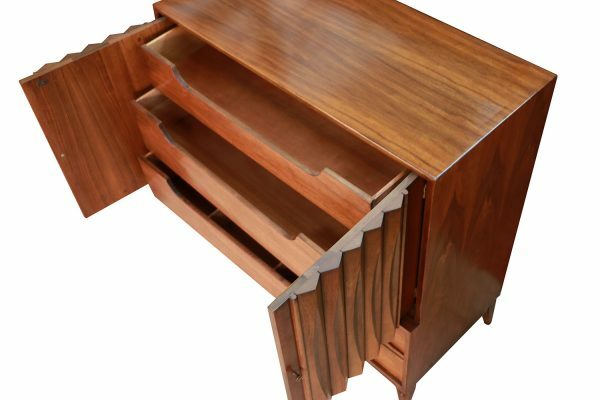 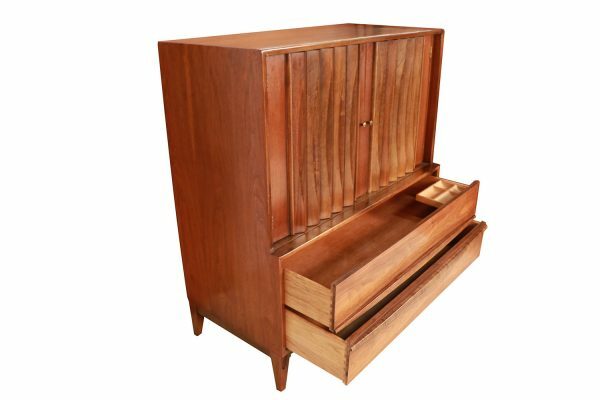 An exceedingly fine tallboy dresser, the Louvered Front contrast beautifully against the warm walnut body, this piece has been very well taken care of over the years. Great style for a bedroom or living room. 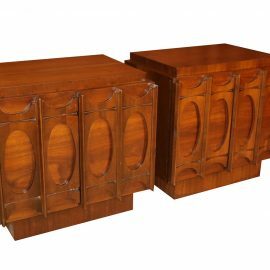 Thomasville designed elegant high end furniture for the aspiring modern family. Also available for sale a matching dresser, (sold separately). 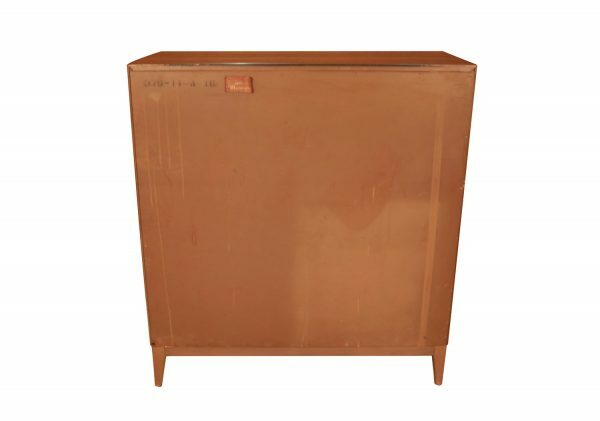 Condition Report: Minor surface wear, overall remaining in exquisite original condition. Frame if sturdy. 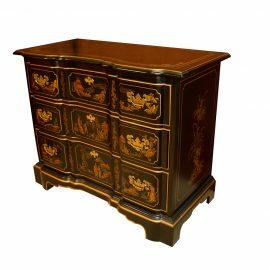 Gorgeous black lacquer, elegant Asian, Chinoisserie Style three drawer dresser / nightstand, circa 1980’s.